Are you tired of overcrowded public clouds with growing monthly fees for increased storage, having to remove files and photos for more space, sharing the same hardware, storage and network devices with other public cloud members? 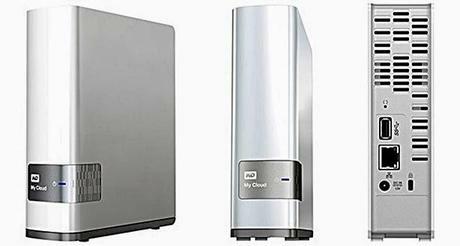 Well get ready to kiss those days goodbye thanks to the WD (Western Digital) My Cloud. As a Blogger who takes lots of photos and has to work with a constant barrage of press releases, research notes and video interviews, I need lots of space and sometimes a backup drive just isn't enough. Are you a fashion designer or music creator? Keep all your work safe without deleting anything with the WD My Cloud. If you want the storage capabilities of Cloud storage without the inconveniences, the WD My Cloud is the answer to your prayers. The WD My Cloud keeps all your content in one safe place at home and accessible with your PC, Mac, smartphone or tablet from anywhere. You have an abundant amount of storage with no monthly fees, an amazingly fast performance and of course, peace of mind. You can feel at ease when you store, organize and back up your photos, videos, music and important documents all in one place. Plus you can use WD's FREE apps (Mobile and Desktop) to upload, access and share from anywhere. What more can you ask for? By now I know you're thinking "I need a WD My Cloud" (you really should get one). Each package comes with a Personal cloud storage, Ethernet cable, AC adapter and a Quick Install Guide and retails for $179.99 on www.WesternDigital.com, not a bad price for peace of mind.